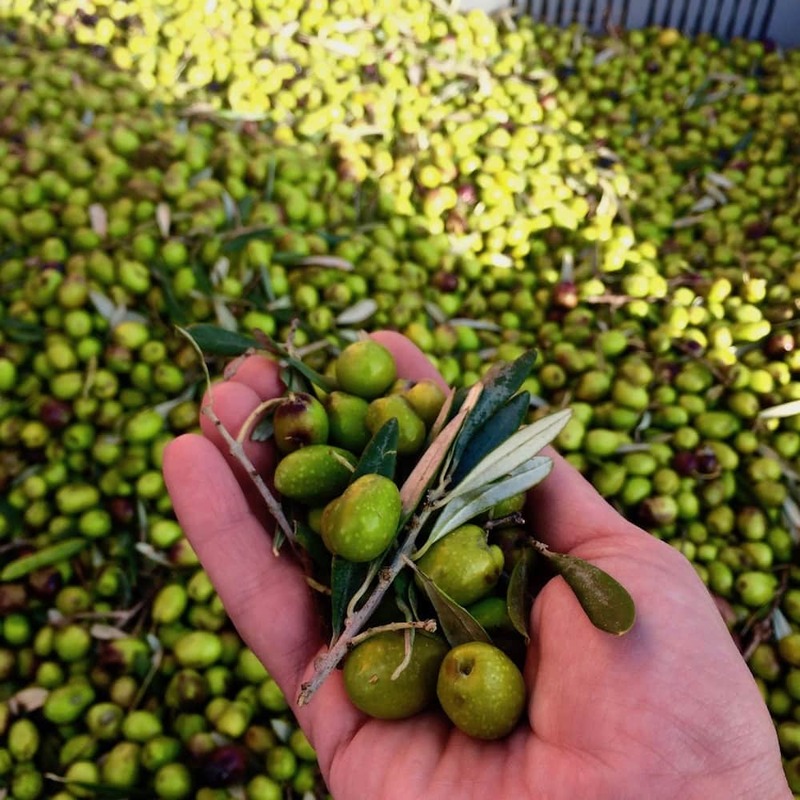 I have just returned from the harvesting of olives at our family olive groves with gallons of fresh, green aromatic olive oil. With olive oil on my mind I wanted to talk about the special relationship Greeks have with olive oil. Let me start by saying that my father comes from a family of olive oil producers. Funnily enough the name of his is village Ahladokabos, it is thought to have come from 3 words: 1. Ah which is an exclamation to express admiration, 2. Lado: Which means oil, 3. Kabos: Which means plain as in level land. In other words an olive plain. Note: the other version is that the plain was full of pear trees (ahladia) and thus name Ahlado-kabos. 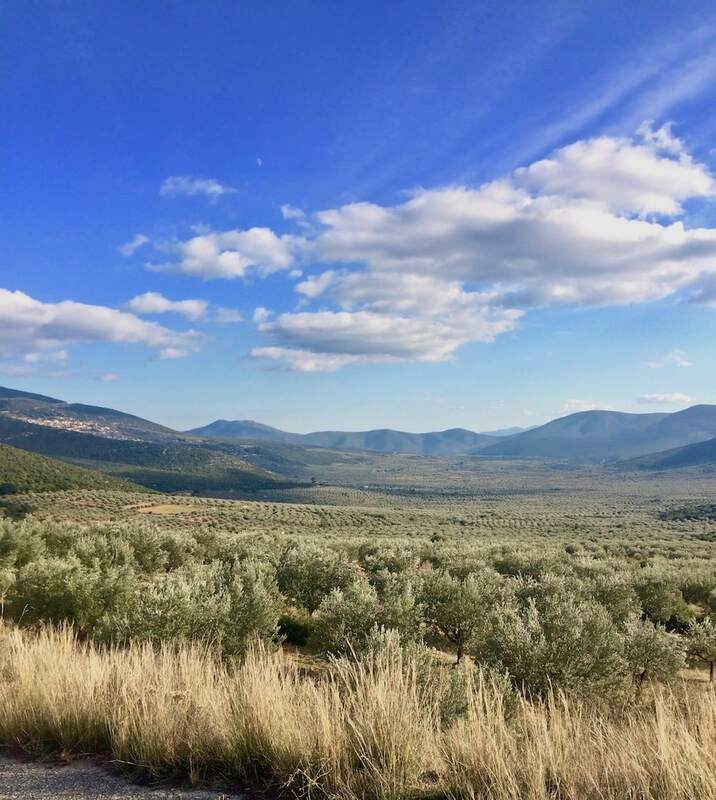 None have been verified, but I’ll go with the olive story, as it sure makes sense because the plain is full of olive trees as far as the eye can see. Today our family produces olive oil for our personal use, no pressure to produce a lot of olive oil, but just enough for our needs, and we use a lot of it! Greece is only the third highest olive oil producing country, but we consume the most worldwide. Up until a few years ago Greeks used about 20 kilograms of olive oil a year per person or more, depending on the source. That corresponds to about 3-4 tablespoons a day, almost ¼ of a cup. Today they are still the top consumers per person, but consumption has dropped somewhat (see below). To put that amount in perspective, in the United Kingdom and the United States the average consumption of olive oil is about 1 liter a year which corresponds to only half a teaspoon a day. Olive oil is a deep-rooted component of Greek life. In antiquity olive oil along with bread and wine, made up the food ideology of the ancient Greeks. It was used in almost all foods served at the ancient Greek table. As the years went by olive oil maintained its presence, but during periods of poverty and war is when olive oil came through for the Greeks. It was used as sustenance when other foods were not available or could not be afforded. Greeks used what the land gave them: and that was olives, olive oil and plants. Olive oil was added to various vegetables and greens in order to provide calories and satiety. A whole meal was made just by cooking any seasonal vegetables or plants with olive oil and herbs. We see this very clearly in Crete when in the 1940’s U.S. researchers studied their living standards and noticed that they ate large amounts of wild greens (horta) and other vegetables with large amounts of olive oil. Was this healthy? Definitely. Those U.S. researchers surprisingly noted that the diet of olive oil, greens and wine met their nutritional needs. This combination of vegetables and olive oil was the basis of what we now know as the Mediterranean diet. So how do Greeks manage to consume so much olive oil today? Well they still use olive oil for most of their cooking needs. Fortunately olive oil is still prized for its flavor but also it health benefits. Although several other oils and fats have entered the Greek market, they are only used for specific cooking needs. In Greece, olive oil is used on salads, but the largest use of olive oil is during cooking. While other countries use olive oil raw and mainly for drizzling on salads or bread, Greeks actually cook with olive oil sautéing, roasting and frying with it. There is even a whole category of foods called lathera which comes from the Greek word for olive oil: lathi. The term literally means “the olive oil ones” and is mainly vegetables cooked in olive oil. It is often noted that one should not fry with olive oil, various reasons are given for this such as smoke point, the olive oil becomes cancerogenic and many other claims. The truth is that Mediterranean countries particularly Greece and southern Italy fried with olive oil for decades and those very people who fried with olive oil, had the lowest rates of heart disease and the highest life expectancy. But apart from that observation, scientifically speaking, extra virgin olive oil actually has a high smoke point and if you know how to fry correctly you will never exceed that smoke point. As a child and teenager I didn’t give much thought to olive oil, it was ever-present in our household. Whether we lived in Greece or the U.S., olive oil was and is the main source of fat. Yesterday while visiting the olive groves and the olive mill, my father showed us some olive trees that he had planted when he was 10 and how he had to carry water back in forth to water them- and there they are now tall and healthy. On our way out we visited my grandparents’ home at the village where I spent time during the summers. My grandmother was a hard working woman, cooking, cleaning and generally very active in her home which was high at the top of the village. It was not an easy or comfortable house, there were stairs everywhere and steep roads and you had to go outside to reach the bathroom. But we didn’t care, it was so fun (except for the spiders). Everything she cooked not only included olive oil, but a lot of it. Some may say that it is just too much, but because they had so much of it there was no need to be frugal with it. That flavor and aroma of olive oil permeated (in a good way) the whole house. To this day, when I open a bottle of olive oil, it transports me to that time and my yiayia. So I was a bit sentimental when I visited this house yesterday. We also visited the cemetery where I showed my children our family grave, looking at it you see so many people that had reached the ripe old age of 100! Including my great grandfather and my grandfather. Must be all that olive oil … and the stairs. Fast forward to the 90’s when I was studying to be a nutritionist in the U.S., and we were taught that fat should be limited to 20-30% of our diet. Remember that? I remember how much I hated those fat free snackwell cookies. Well that didn’t last too long for me. I was a firm believer of my traditional diet and once the research on the Mediterranean Diet became more and more robust, there was no doubt that this was a sustainable, delicious eating pattern I could recommend to my patients. 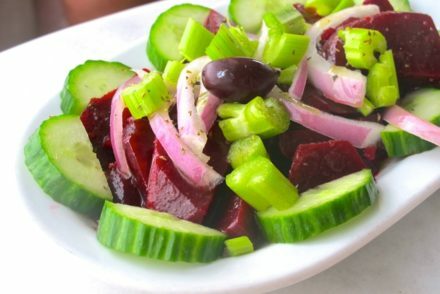 Returning to Greece, in the new millennium the westernization of the diet was in full-force: forget Greek salad, everyone was preferring Caesars salad instead. Many Greeks were (and are) overweight thanks to the abandonment of the traditional Greek diet. No, olive oil is not what made them fat, contrary to what you may have read. It was the highly processed foods especially the processed starchy junk foods made with all those cheap vegetable and seed oils. After that, I dedicated much of my writing and work to teaching the importance and benefits of the traditional Greek diet and the value of olive oil. 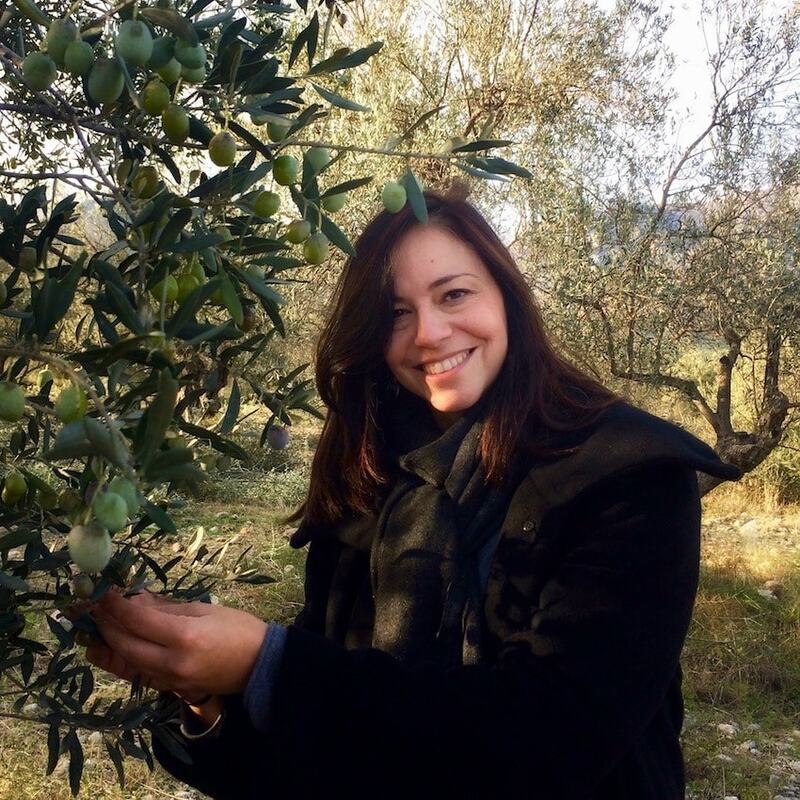 When an opening came up as a writer in Olive Oil Times, I was able to pass the knowledge to a larger audience as their Health Editor and now as founder of OliveTomato. In the past years Greeks have appeared to take olive oil for granted since it literally “grows on trees”. 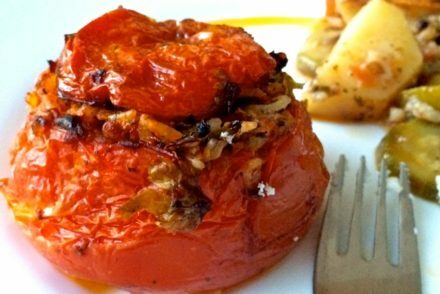 However, it has continued to be a staple in the Greek kitchen. Thanks to the work of many academics such as Dr. Antonia Trichopoulou, a Greek physician and researcher. Dr. Trichopoulou back in the 70’s and 80’s noted that the aggressive advertising of seed oils and margarines in Greece could result in the impression that olive oil was not a healthy fat, leading to the abandonment of the traditional diet. And she was right: These days olive oil consumption has dropped, most likely due to a combination of factors: financial crisis, aggressive promotion of other cheap vegetable oils, use of other fats in processed foods (eg. palm oil), and the abandonment of the Mediterranean diet. However, her research along with many others supported the fact that olive oil and the Mediterranean diet is indeed healthy and today is considered the gold standard of diets. The sad reality today is that many Greeks do not acknowledge the value of olive oil not only as a healthy dietary component but an important part of the culture. Oh Elena! what breathtakingly beautiful surroundings. How idyllic to have the Olive Groves, which represent past and future dedication and hard work. What a great article. Thanks so much for your leadership and expertise in all things Good Nutrition = Traditional Greek. We Appreciate Greek/Cretan EVOO here in Southern Illinois. Pour it on! Thank you Brenda! And thank you for following this site from the start! Total benefit for me and my patients! A beautiful story. 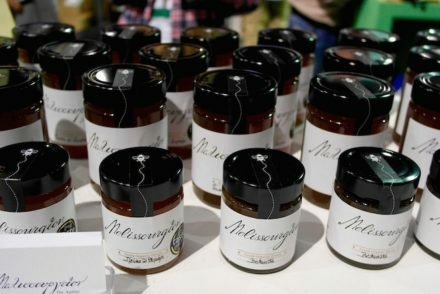 Let’s hope that the general public will catch on to Greek EVOO. Like you, we consume 5 litres in a month and use it for cooking and on to the skin! It’s changed our lives! Thank you Grace! Wonderful.My mother used it on her skin too. Thank you for the wonderful recollections of your family and how olive oil is such a great part of your diet as well as the Greek diet. Our family only uses olive oil to cook and use as salad dressing. My son and I were able to visit an olive grove a couple of summers ago. It was a great learning opportunity. Thank you for the blog, also. I love getting the email updates. Thank you for sharing Linda! I think everybody should visit an olive grove at least once and see the process. 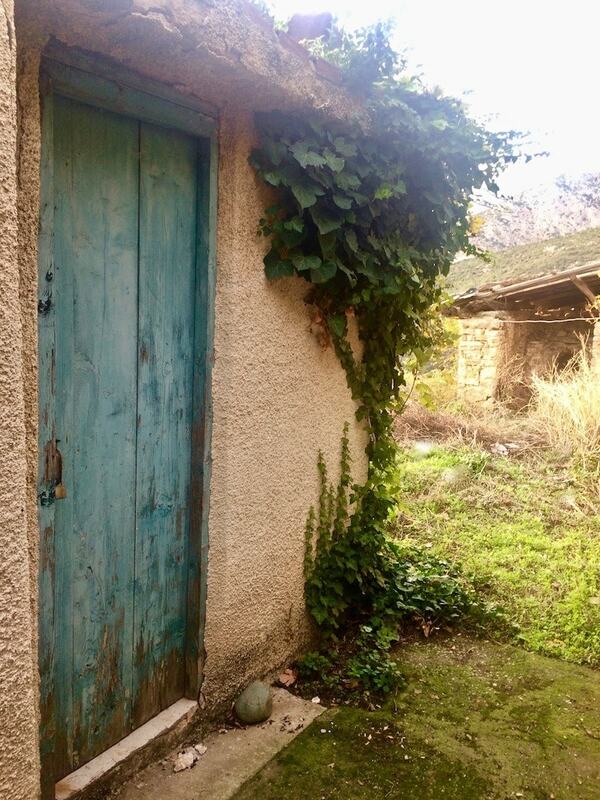 Thank you for the virtual trip to your family’s home, Elena! I was born in Greece and moved to the USA as a child. When I first started to cook for myself, I couldn’t get my food to taste like my mom’s until I started using olive oil. It has since been the main cooking ingredient in our home. My dad is also from Ahladokambos and he is probably the same age as your father. Our family last name is Tasoulis. We live in Canada. I was sooooo excited reading this article as I can totally relate to the fields and harvesting time and the memorable summers I had in the village. You just made my dad’s day. Keep on writing as I do find your articles very fascinating. Hi! Actually my yiayias neighbor was named Kostoula, but I’ll ask my father about your last name. Thank you and I am glad you enjoyed the post! Great writing and photos too! 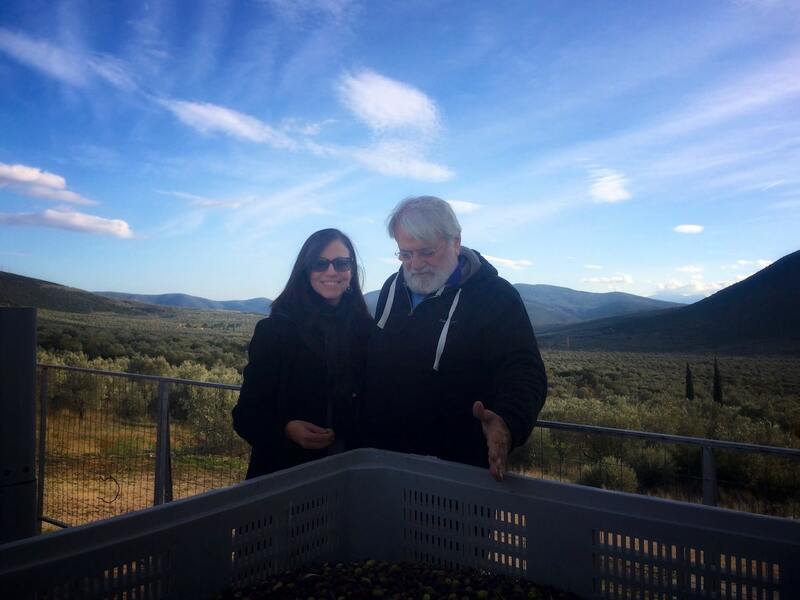 It would be interesting to hear and see even more about the olive oil harvest and processing from your family perspective or anywhere in Greece for that matter. We usually buy local (California) olive oil but we also buy Greek oil on occasion. There’s olive oil from Crete available here that says 100% Greek olives, hand picked and processed the same day. We stay away from Italian oil because of the problems with knowing what you’re really getting. The timing of processing is important. One of the positives in Greece, is that there are mostly small olive groves and that makes for a more timely processing procedure. But generally the fresher the olive oil the better. THE STORY IS GREAT AND THE PHOTOS LOVELY. I would like to know what you think of Minerva pomice oil for cooking instead of EVOO. Elena, thanks for this great piece and the wonderful photos. And thank you for all the work you are doing in promoting this cuisine. I use many of your recipes, generally on a weekly basis — just made your fasolakia lathera last week for the umpteenth time! We grow a lot of our own food, including potatoes and green beans, so as you can imagine, that’s one of our favorite recipes. You have a terrific website and provide tons of useful information. Please keep it up! Thank you Steve! You are so lucky to be able to grow your own food! Thank you for the information on olive oil. I was wondering what the difference is between E.V. olive oil and “regular olive oil.” The supermarkets here in USA have all different kinds of olive oil. Ahh yes Kritsa olive oil! I had interviewed the director of the coop there a few years ago. Thanks for sharing Yvonne! what a wonderfully story, and yes I can’t imagine olive oil as a culprit in obesity, especially given how long its been a part of Greek life! Thank you Sabrina! Yes, a big misconception for olive oil and fats generally. Since I found your site, I have been eager to read your every posting. I started to follow a cardiometabolic diet, which is based on the Mediterranean diet. I am loving the use of olive oil in all of my food preparations where I may have used butter or other oils previously. Love, love, love your recipes. Thank you so much for sharing Beverly! I have just found your blog. I am hooked! Thank you ! Glad you found us! Since meeting you in Chicago, we have been enjoying your recipes and are working to incorporate them into our meals more and more. I heard a story on the news today about the health benefits from olive oil, including adding 10 years to your life, heart health and reduction in dementia and inflammation. I was especially surprised to hear that it helps with depression! The article spurred me on to contact you. I was wondering if you I could purchase some of your family’s olive oil. Have you ever considered recommending an olive oil producer and selling it on amazon (for home use)? I live in England and it’s impossible to know which one’s for sale in the stores are authentic or fake. I’ve been buying Honest Toil mail order which looks authentic but I’d be happy to buy some from an expert like youself.